There are a lot of students who are eager to make their careers in the medical field. One of the most opted for Career in Medical field is nursing. A person can become a qualified and certified nurse by getting into a nursing school and getting their graduate degree. However, this might seem like an easy path, getting into the nursing school is not an easy as it sounds. The students have to give TEAS and score well in order to be eligible to get admission in a nursing school. The scores of this test are required during the application procedure in most of the nursing colleges. A high TEAS score can get you admission in the most prestigious nursing schools in the country. 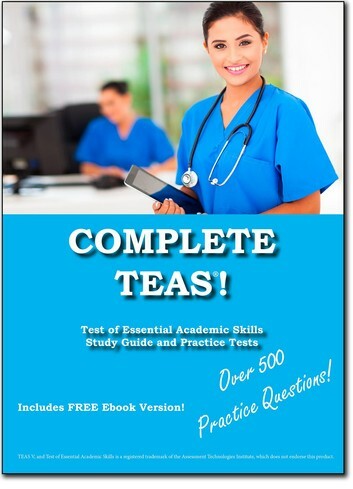 TEAS exam tests a variety of skills in a person that are required for them to graduate from nursing school. Hence the test has a high difficulty level. A student has to put in a lot of effort into the preparation for this examination in comparison to the other examinations. The preparation needs a lot of hard work and practice. For the practice parts, the students are advised to take the practice tests so that they can score well in the examination. If you are someone who is giving their TEAS and wants to know all about the preparation strategy, you are in the right place. Here you will learn all about TEAS and how you can easily prepare for it. How to Prepare For TEAS Exam? How Important Are The Practice Tests? TEAS is the Test of Essential Academic Skills which is an entry-level examination for all students who are aspiring to take admission in a nursing school. Most of the nursing schools require the marks of these tests along with the application from the students. This is a test published by ATI Testing and is specifically designed for the students studying in high school. Here is all the information that you need to know about TEAS (Test of Essential Academic Skills). All the students studying in the 9th to 12th grade can give this examination. The question paper is set according to the caliber of these students. There are no additional criteria for sitting for this examination. Reading- Key ideas and details, integration of knowledge and ideas, and craft and structure. Science- Life and physical science, human anatomy and physiology, scientific reasoning and some general science. Math- Numbers and algebra and measurements and data. English Language and Usage- Knowledge of the language, convention of standard English and vocabulary acquisitions. Questions are designed on the basis of these subjects. It is important to note that there are some tough questions in the paper. Hence, the student should start preparing as early as possible for a good score. The first thing that you should do is download the syllabus of the examination and then start preparing according to it. Go through the entire course thoroughly. Make a timetable and a study strategy and stick to it. This age-old preparation strategy never fails. Buying books and preparing for them is the best way to learn and get yourself ready to score well in the examination. With the bloom in the internet and technology, it has become really easy to find free resources online. You can get book pdf, learn from free youtube videos and can also register in the online classes that can give you a step by step preparation strategy to qualify the examination. The TEAS Sample Test Online are one of the most important parts of your preparation. Make sure you solve them regularly if you want to get good grades in this examination. Additionally, you can also buy the practice test series online where you can take regular tests to get a practice of the examination. The examination lasts for 209 minutes which is over three and a half hours. The student usually gets tired at the end of the examination and cannot concentrate on the question paper. However, if you solve the practice papers regularly, this will increase your stamina and also increase your concentration. The brain is also a muscle that you can grow with some practice. Since you are solving the practice paper regularly, you can easily understand your weaknesses and strengths. This way you can build a strategy to make the most out of your preparation and also the time is given for solving the exam paper. Start with the questions you know and then move to the questions that you are not sure about or might take more time. TEAS (Test of Essential Academic Skills) score matters if you want admission in the best nursing schools. So, make sure you solve lots of practice papers and assure a good ranking in the examination.